Let’s face it, we are all aware or know at least one person who suffers from dyslexia, and although we somewhat know some facts about the condition, we really don’t have a clear understanding of how it affects people. Yes, there have been methods created to improve and help dyslexic patients, but how can we really understand and think of ways to help if we are not able to see first hand what it’s like to be dyslexic. Sam Barclay, a recent University of Portsmouth Graphic Design graduate came up with the brilliant idea to use Design to demonstrate the hurdles dyslexic patients have to deal with on a daily basis. 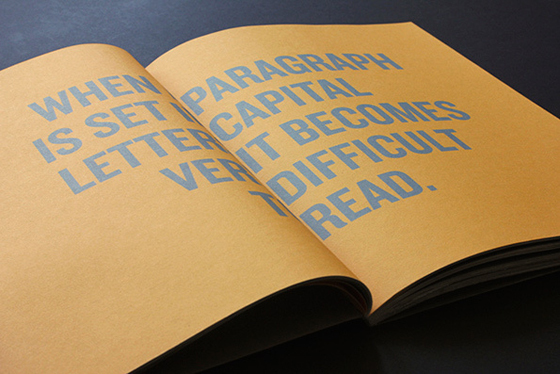 This book aims to provide the reader with a beautiful, design led experience of what it feels like to struggle with reading and it is currently being funded by generous folks through KickStarter. 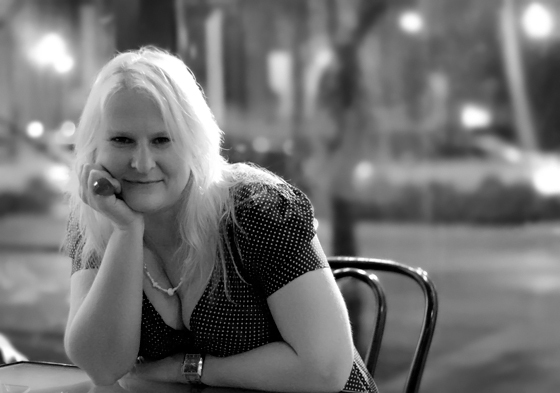 Today I want to share some awesome news coming from Australia. 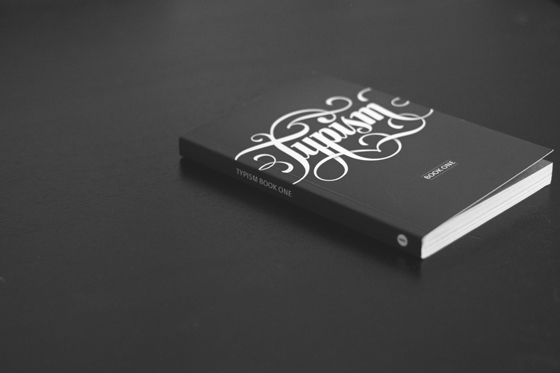 Last month, Typism, an international Type conference, took place in Australia and it featured many amazingly talented and inspiring Designers and Type Masters like Dominique Falla (its creator), Gemma OBrien, Matt Vergotis, Nicole Phillips, Wayne Thompson, Aurelie Maron and Bobby Haiqalsyah.. Being the Type geek I am, I loved the idea and learned about the event earlier this year. 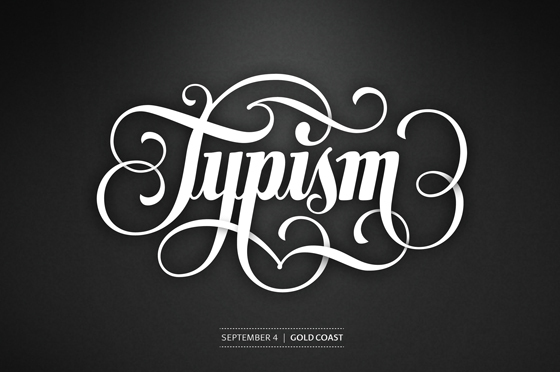 Now, although I couldn’t make it to Gold Coast to be part of this inspiring conference, my work did :) Back in May, Dominique contacted me and invited me to be part of the Typism book she was building in conjunction with the conference. The idea of the book was to gather Designers and Type Lovers from all over the world like Jon Contino, Simon Alander, Sergey Shapiro, Jackson Alves, and put them together in a cool new Typebook… YES! Here’s my Valentine’s Day gift to you! 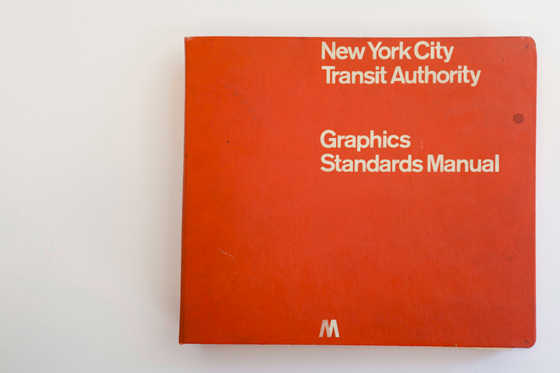 TheStandardsManual.com is a site dedicated to serve as an archival record of a first edition NYCTA Graphics Standards Manual designed by Massimo Vignelli and Bob Noorda of Unimark International. The manual was found in a locker beneath old gym clothes. Roll over the images to magnify. Enjoy! We all love good books right? 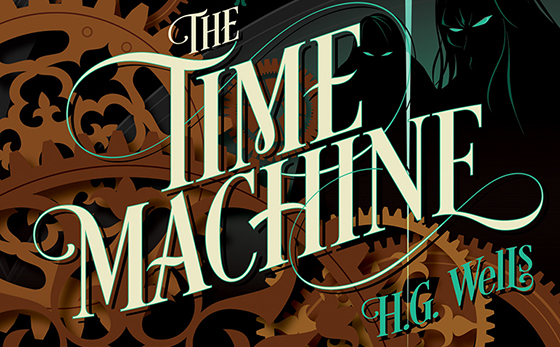 Well, if you consider yourself a book worm or even a casual reader, I want to introduce you to Good Books. An organization that will not only provide a wide collection of titles, but will also make you feel good because you are, directly, funding social, medical and environmental projects around the world in partnership with Oxfam. When you buy a book, 100% of the profits are used for these causes. How freakin’ amazing is this!? And to promote this great site, Good Books collaborated with always inspiring The Mill to deliver a beautiful animated novel featuring stunning illustration, animation and way better steamy romance and writting than all Fifty Shades of Grey books together. Check out the short film after the jump and keep on reading! I’ve always been fascinated by the mystery surrounding the Titanic. And no, not talking about the Leonardo DiCaprio version -although I still get very emotional when I hear Celine Dion at work… So, what could make a Titanic story even better? 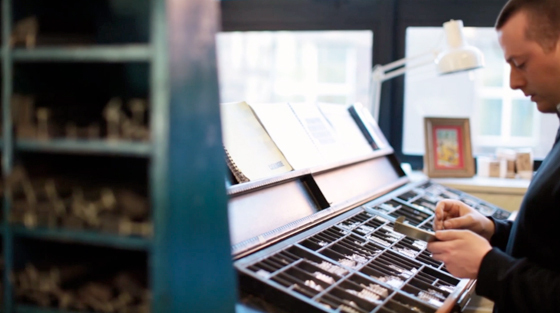 How about some beautiful letterpress books and a lovely process video! ‘Albert, Ernest & the Titanic’ is a letterpress printed book which tells the story of Titanic’s on board printers as they travel on her doomed maiden voyage. Shot one evening during the final stages of production on location at Distillers Press, NCAD, Dublin. Happy Friday! 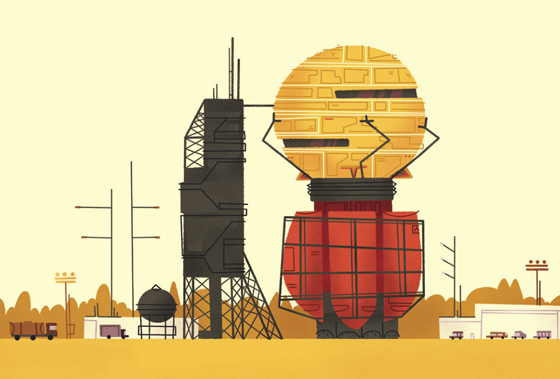 I recently discovered the great work of the talented New York based Designer and Illustrator Timothy Goodman and had to share it with you. 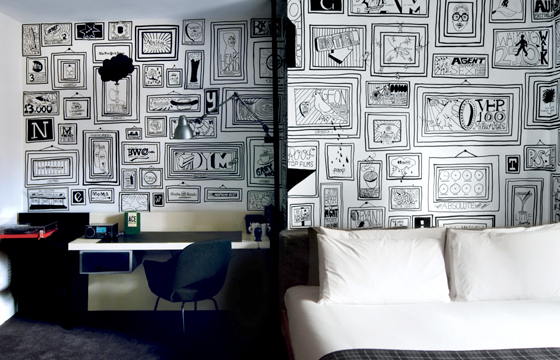 Timothy’s clean, fun and fresh style is evident throughout his projects and his wide range of work includes clients like Apple, The New York Times, CNN, Wired, Ace Hotel, Imprint, Microsoft and Collins. Check out some of his work after the jump! Yesterday’s post was dedicated to all you Designers and Typophiles out there, and to keep the shopping spirit alive, today’s post will make Fashion Designers and Fashionistas drool. Rizzoli Publications is launching a beautiful book this week ‘Louis Vuitton and Marc Jacobs’, celebrating the history and origins of two of the most successful and recognized brands in the world. 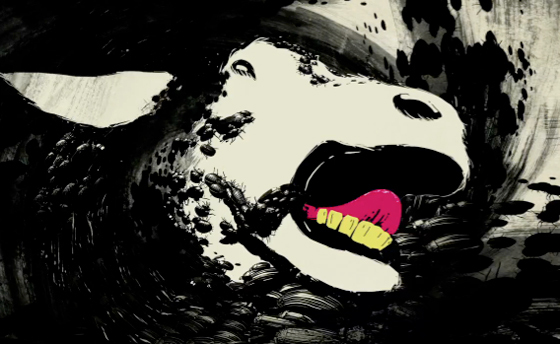 Remember that cool Gnarls Barkley ‘Crazy’ video? For some reason, we’re attracted (at least I am) to people and objects morphing into crazy shapes that sometimes challenge and invite us to use our imagination in order to interpret them. 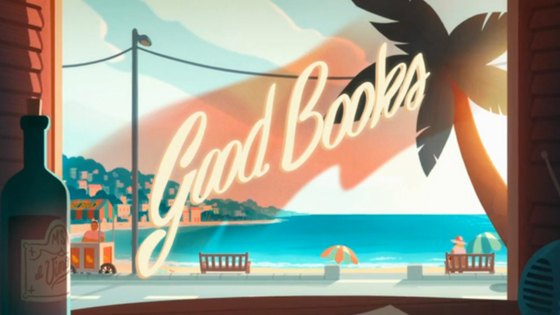 The folks at Antfood recently created a lovely and trippy video for Good Books taking us through a gnarly and entertaining trip full of interesting morphing, shapes, colors and sounds. Check it after the jump! Happy Friday! Today I want to follow up on a post from last year. Why? Because I love this project (I’m sure you will also), I love my Nike kicks and because it is finally available for purchase thanks to all the support and love from KickStarter backers. 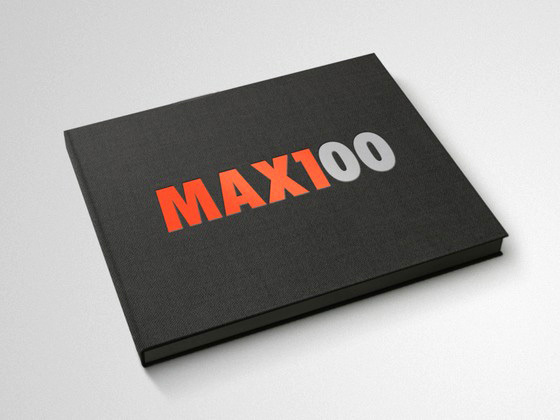 I’m talking about Matt Stevens MAX100 book project. A beautiful high end book featuring 100 different, and beautiful, interpretations of Nike’s iconic AirMax1 or as Matt states it, “the greatest sneaker ever made.” Learn more after the jump, check out some photos, video and get yours today! This one is dedicated to all you film-lovers. 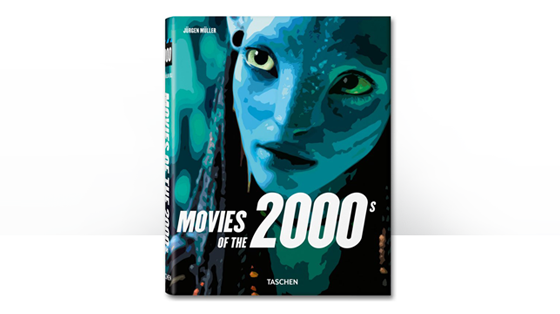 “Movies of the 2000s” by Jürgen Müller is TASCHEN’s latest book and it is a collection of over 140 films like Inception, Avatar, Harry Potter series, Babel, City of God, Brokeback Mountain, Mulholland Drive, No Country for Old Men, and Black Swan, complete with film stills and great production photos, movie synopsis and analysis, and interesting trivia. Learn more and check out some photos after the jump! The digital revolution of the last decade has unleashed creativity and talent in an unprecedented way, with unlimited opportunities. There are millions of artists out there perfecting their craft and sharing it with the world thanks to the many advances in technology. As many industries seem to slowly die, many have successfully emerged, generating and unleashing a new wave of creativity and inspiration. PressPausePlay is a documentary featuring pioneers and the many changes and improvements to mainstream industries. I love finding and learning about new ideas and creative projects by artists and designers – specially when they are awesome THEE BLOG readers! 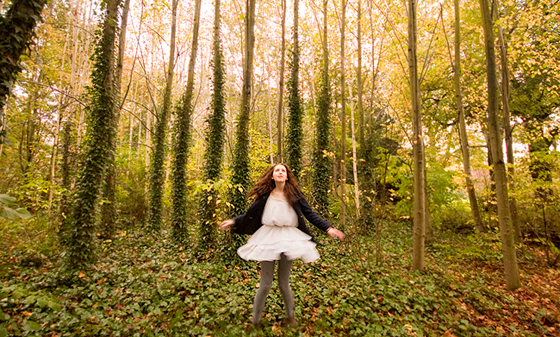 :) Ariel Body is a student on the MA Multidiscplinary Design programme at the University of Ulster, Belfast, where she is currently exploring the use of digital manipulation in photography and how this can affect representations of reality. Ariel launched a campaign to fund her project and she needs our help. Check out her project description and video after the jump and visit her Kickstarter page to support her project! More Russian design awesomeness! 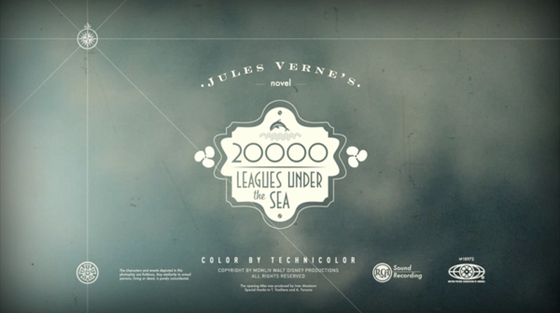 This time, a wonderfully done student project by Moscow based Designer Ivan Maximov featuring the Jules Verne classic ‘20,000 Leagues Under the Sea’. 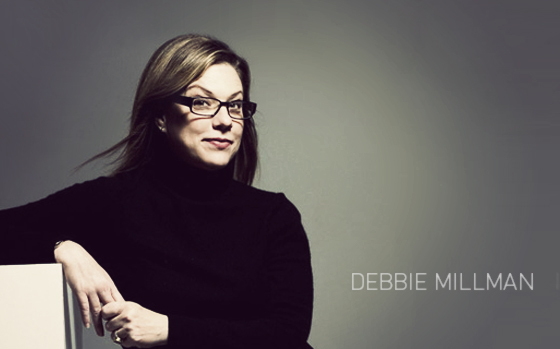 Don’t you wish all opening credits were this awesome? Personal projects should be a goal all of us, whether Designers, Photographers or Illustrators should attempt to achieve at least once during our career. Not only are they a great creative outlet and source of inspiration, but a perfect self-promotion vehicle as well. And today I want to share a fun and interesting KickStarter project by North Carolina based Matt Stevens, who many of you might know from his amazing work for Dunkin’ Donuts. 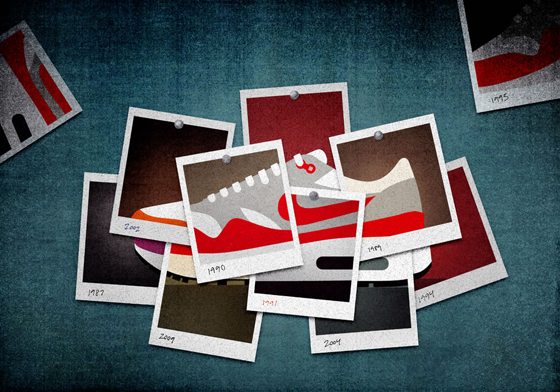 Matt’s goal is to raise enough money to publish a book about ‘…the greatest sneaker of all time’. Check out some photos, story behind the project and links to support his project, as well as a SWEET promo video done by my good friend Adam Boozer / Jewell&Ginnie after the jump! While moving to a new house recently, and noticing the number of boxes labeled books outnumbered any other boxed category-by far, I realized I might have a ‘problem’. 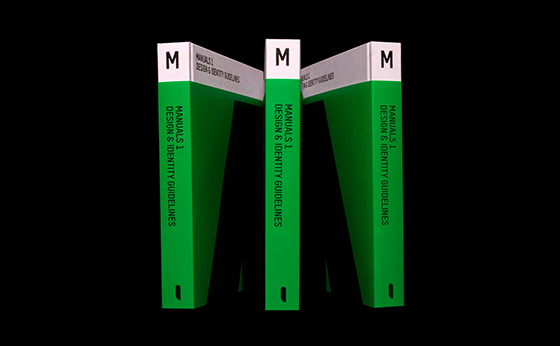 Don’t get me wrong, it is not a bad thing – I think, in fact I believe it is a must for any designer to own a small collection of books, whether it is because of cover design, content, reference, history or simply inspiration. And this book I want to share today might cover all those descriptions and more! 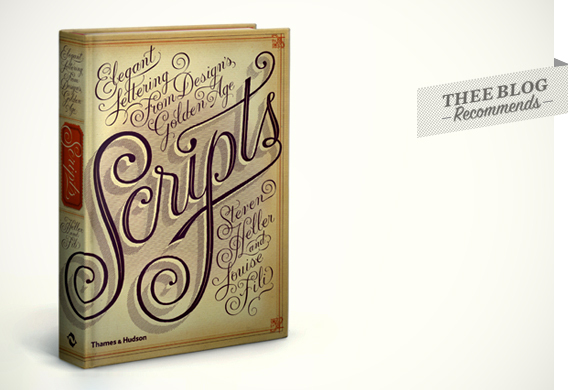 Steven Heller and Louise Fili released a new book featuring beautiful lettering from Design’s Golden Age. Check it, love it and get it! We’ve all had the pleasure of working with a ’special’ client (if you want to call them that) at some point. Learning to survive these painful or unforgettable situations and avoid them like Syphilis is crucial as you continue to learn and grow as a professional. There’s a strange pattern similarity that characterizes these clients, ranging from behavior, paying ‘methods’ to their precious classic phrases and comments. 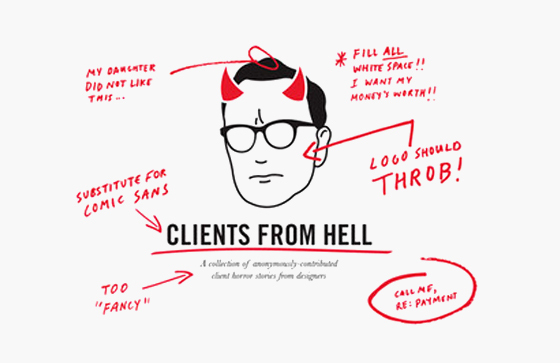 You know you’ve heard most of them… ‘Make the logo bigger’, ‘I want it modern but professional’, ‘My wife doesn’t like red’ or ‘My accountant said I should make these changes…’ CLIENTS FROM HELL, the book, is a compilation of these gems -and a few worse ones- submitted by anonymous designers based on their horror experiences. Check it! Last Friday I had the chance of attending a discreet event hosted by The Wolfsonian + AIGA Miami featuring none other than the amazing Marian Bantjes. 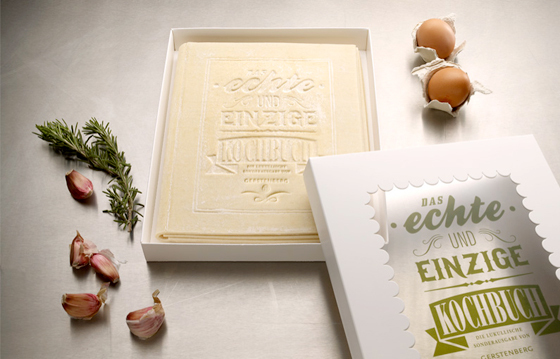 As a Designer and Typography lover, I’ve been a huge fan of Marian’s fearless intricate work and have been following her since I first discovered it a few years ago. There’s something magical about the exquisite way her work flows and the way letters and figures interact with each other, making her pieces unique. Marian’s lecture included bits of her background, her inspiration, the process behind her work and of course, her book, ‘I WONDER’ (A must, if you are a designer/typophile). After her inspiring presentation, I had the chance of meeting and chatting with this talented icon about design, her work and amazing book. It was so great to finally meet yet another one of my design heroes (list is getting shorter!) 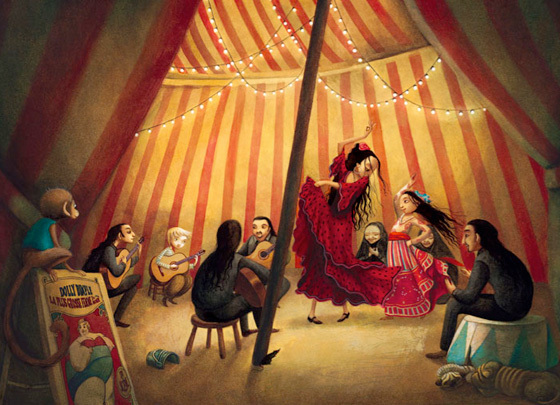 and discover that she is as fun and interesting as her beautiful work.